Strictly an 80's band, The Housemartins achieved UK chart success with seven hit singles and two successful studio albums between 1986 and 1988. Their compilation album Now That's What I Call Quite Good was also a top ten UK hit during 1988. 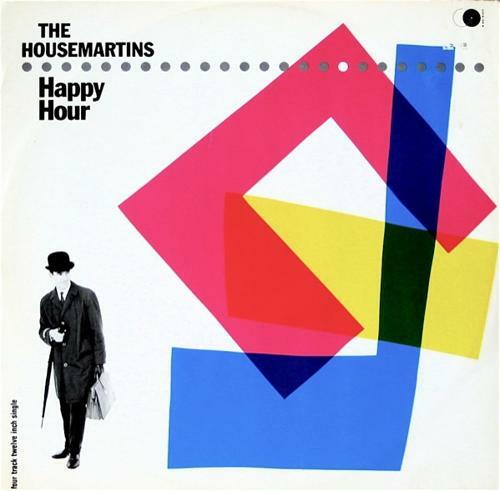 The upbeat Happy Hour was the band's third single release and their first Top 40 single, reaching #3 in the UK singles chart during May 1986. It was taken from their debut album London 0 Hull 4 which peaked at #3 in the UK album charts. 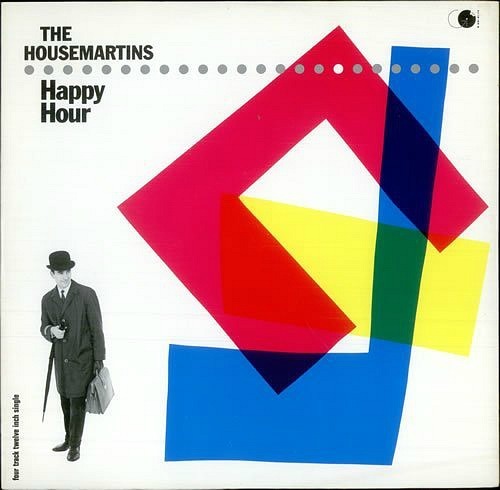 Happy Hour was in the UK singles chart for 13 weeks, and peaked at No.3 in the week of June 28, 1986. 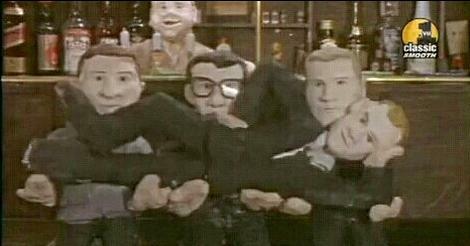 In the amusing video, we see the band larking around in a pub, and there are also animated plasticine models of the lads and customers. Watch out for comedian Phill Jupitus at 0:11 who is reading a newspaper. The band's second and last studio album (released in 1987) was The People Who Grinned Themselved to Death and reached #9 in the UK. The most famous member of the band was, of course, Norman Cook (aka DJ Fatboy Slim) who went on to have a pretty successful solo career. Vocalist Paul Heaton achieved further success with The Beautiful South, of course. Released by Chrysalis Records, the 12 inch vinyl included four tracks; Happy Hour, The Mighty Ship and Sitting on a Fence, which were penned by band members Paul Heaton and Stan Cullimore, and a cover of "He Ain't Heavy, He's My Brother". 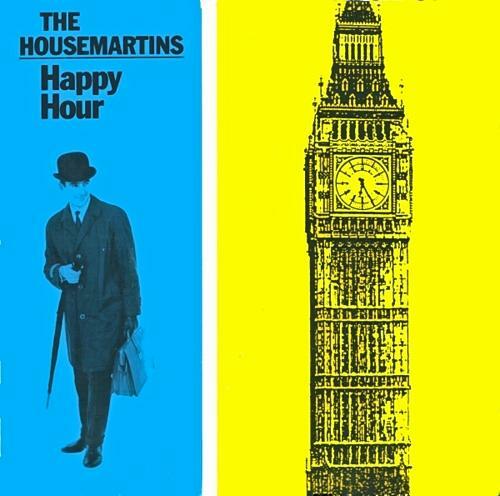 In this blast from the past, we see Anna Ford (she's standing in for Terry Wogan) introduce us to The Housemartins who perform Happy Hour.